Are you tired of wrestling with your dog or cat when it is bath time? Are you sick of seeing pet hair all over your living space and furniture? Do you want to say "goodbye" to sneezing and wheezing due to pet hair allergies? We don't blame you! That's why we designed the Universal Pet Groomer Attachment. It takes the trouble out of grooming your pet, once and for all. 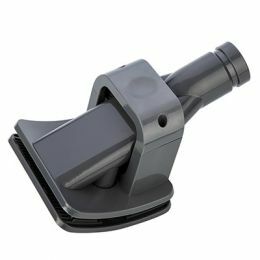 Groomer attachment tool fits most Dyson upright and canister vacuums. Not compatible with DC01, Motorhead models or Dyson cordless vacuums. Fits for DC3 ,DC4,DC5*,DC6*,DC7*,V6，"*" means "1-9".